I know it's been a while, but I have been busy. I was also working on another post, but I wasn't really feeling that one just now. Instead, I thought of posting about one of my favorite cleansing waters - Son & Park Beauty Water. Simple name for a beautiful product. This isn't sheet masks, which is what I usually review, but I can deviate from the my norm. SO, I'm just going to go right into to it. What is a cleansing water? Cleansing water is basically what it is -- it cleanses. Your face, I mean. It has the consistency of water. A good example of a cleansing water would be Bioderma, or Simple, both of which has micellar water. Micellar water is basically water with micelles in them. They are in many cleansing water products (I will go into that in another post). They sweep away impurities, dirt, and just the grime that accumulates on your face throughout the day. When I say grime, that includes makeup. Don't get me wrong. I love makeup, but after wearing it and being outside or at work, it builds up and goes into your pores along with the sebum and dead skin cells on your skin. What is Son & Park's Beauty Water? It is a Korean makeup brand created by two of Korea's top celebrity makeup artists. They make skincare and make up that gives you that glowy, natural look. The dewy no-makeup look (BB Cream) was popularized and pioneered by the two, whose real names are Son Daek-Sik, and Park Tae-Yun. The two met in high school and have always loved the world of beauty. Son & Park both have immaculate looking skin, by the way. It makes me want to hide my face. Haha! So this Beauty water is used for cleaning your makeup off, and is it great for dull skin types. People with dry, dehydrated skin would benefit from this, too. One of my favorite Youtube Beauty bloggers, The Beauty Breakdown by Morgan, has dry skin and she has mentioned using this product in her skincare routines. *This also does not contain micelles. I'm only going to name the top few on the ingredients list. I know water is the first in the list, but it is the obvious ingredient; just look at the name "Beauty Water". Damascan Rose Water (Rose Damascena Flower Water) - for skin conditioning, it soothes, and has antioxodants that are beneficial to the skin. It is even used for wound healing. Sweet Oranges (Citrus Aurantium Dulcis Orange Fruit Extract) - for skin conditioning, and soothing sensitive, irritated skin. It has great antibacterial and toning properties. Witch Hazel (Hamamelis Virginiana Water) - another skin conditioner. It is used for swelling, and is great for dry skin, and restores the suppleness of the skin. * Skin conditioners, are great for dry skin. Think hair, people with dry hair, usually need a conditioner to help nourish and return moisture ino the strands, because shampoo not only strips your hair of grime, it also removes natural oils that our skin (scalp) produces. Bergamot, or Bergamot Orange (Citrus Aurantium Bergamia) - it is an antibiotic, analgesic, and it is a cicatrisant, which means it is an agent that helps fade dark spots and scars. Papaya Extract (Carica Papaya Fruit Water) - this is great for sweeping away those dead skin cells. It's used in places in Asia for lightening the skin, especially dark spots. Willow Bark Extract (Salix Nigra Bark Extract) - contains Salicin and salicylic acid. Salicin is an alcoholic β-glucoside, which is used an anti-inflammatory, analgesic, and even as an anti-pyretic (anti-fever). Salicylic Acid is a weak acid, called a BHA or BETA Hydroxy Acid. It treats acne, psoriasis, and warts. (this is a link) Check out CosDNA for possible irritants. **This product contains alchohol denatured - in case you did not full read the ingredients list I provided above. Although, there is alcohol, I want to say that this does NOT smell like alcohol. Not even a little bit. The first time I opened it , it has a very light astringent like smell, but it goes away quickly. I don't really smell anything from it. Maybe I've gotten so used to this product that I don't even smell it. Honestly, it's just like water. The pH level for this a lovely 5.0 - which is what we look for in a cleanser, to help keep our skin barrier strong and healthy. As for consistency, again, it is like water. It's very light, and very cooling to the touch even after accidentally leaving the house a/c-less on a hot summer day. It is very hydrating, and is very good at cleaning my skin free of makeup and grime, even without the micelles. I find this very relaxing to use, and I am constantly delighted to use it on my skin. morning cleanser - Since all I had on the night before was my pm skincare. I usually wash my face with a gentle cleanser in the morning, but this is great if you're in a hurry. This is also great to bring along a trip, when you don't have anything to wash your face with. makeup remover - At the end of the day, I sometimes use this when I have heavy eye makeup. It does a great job at it, too, and my eyes don't get irritated. I don't use this alone, and without a cleansing oil, because I feel like my face isn't clean enough to move onto the next step in my skincare routine. toner - A lot of times, I reach for this to use a toner. It is not exactly a toner, but it can be and is usually used as one. This does not replace your regular toner. Despite what online shops say, this is used for cleansing. So, yes, I use this as a toner/cleansing water, after using a cleansing oil. It preps my skin really well for my essences and serums. I do not, however, use this in-conjunction of an FTE, First Treatment Essences. For some reason I keep calling FTE's, The First Time Essence, like it's some kind of sexual reference, and then giggle like an idiotic 4th grade child. I'm sorry (insert teary eyed laughing emoji here). Since the pH is a 5, Beauty Water can be used to balance out the skin's pH, or help lower the skin's pH in preparation for acids and vitamin C serums. medium for EC-Ester powder - I have a powdered serum of a vitamin C that I got from The Wild Jasmine Shop a while ago, and I can basically add this to any skincare product. A few times a month, I pour a little of the Beauty Water and the a smidgen of the the C-ester on to a cotton pad, squish together a bit, and wipe it on my face. I wait about 20 minutes, and then go on with the rest of my pm skincare. 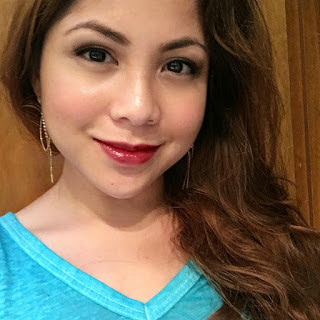 refreshing your skin - I use this when I'm at home, or even at work, when I have no makeup on that day. Although I do wear sunscreen everyday, this doesn't exactly wipe away all of the sunscreen, which is why I still double cleanse in my pm skincare, but I digress. I use this to refresh my skin. It's a great little pick me up, in my opinion. Be care when pouring. It is NOT spill proof. The box also said that this is moisturizes the skin, which it does; albeit not super moisturizing. There is just enough skin conditioning ingredients that will help make your skin feel soft hydrated. My feels refreshed afterwards, and I love how it does not feel sticky at all. The thing that I love the most about this is the mild exfoliation. When I do not want to use any chemical or physical exfoliators, this gives me that very mild exfoliation I need. It isn't like the Prelab Toning Peeling tap, whose purpose is to exfoliate and tone the skin. The exfoliation it gives is milder than that. Well, I love it! I use it everyday, and the large bottle lasted longer than I thought it would. Unless, you use like 20 drops of this twice a day. The bottle I have is almost to the bottom, and I am quietly panicking. I need to buy more of this stuff. I rate this a 5 out of 5, the Holy Grail status. Hi Mitch! I found this post to be very informative! I have heard wonderful things about this cleansing water and now I finally know why. First of all the ingredients list is STELLAR! I love anything that it multi-purposed, quick, and easy to use. This doesn't seem to disappoint. 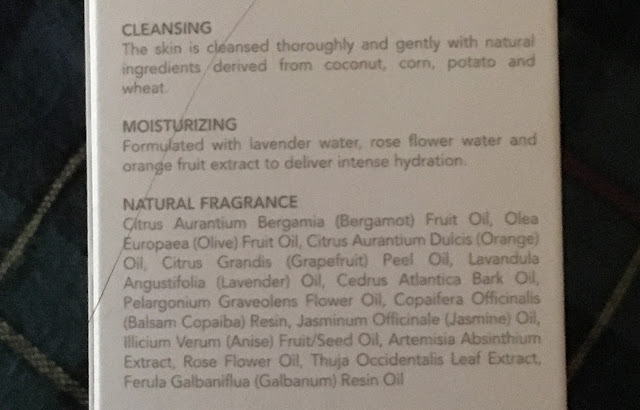 I am most intrigued by the anti-inflammatory and anti-bacterial properties of the sweet orange and bergamot orange ingredients. I also didn't realize this was a mild exfoliator. I think I can now understand why this has a holy grail status for so many women and men in the Kbeauty world. Once I'm finished with my Garnier micellar water I think I'm going to have to give this a try. Happy Belated birthday! I've been a longtime follower of your instagram and I subscribed to your blog. After reading your blog post I'm interested in set A. Thank you! I was hoping it would help someone who wanted to try the beauty water. I have not gotten a bad reaction from it, and I'm already down to my second bottle. I hope you like it as well! thank you for joining and for greeting me! What is really cool is that the bottle is so big! I hate small packages when it comes to my skin care. I understand that the small bottle lowers the chance the product to expire, but I hate the need to buy products so often. At least I can always check the reviews on Speedy Paper before making a buy.